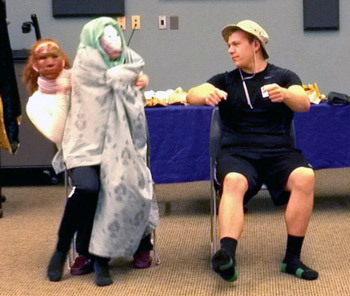 These workshops typically include a combination of two to three theater arts practices listed below. However, we can focus on just one, depending on the length of the workshop, place and needs of the participants. New! 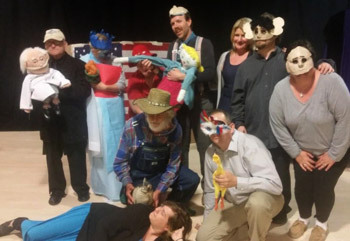 Theater Artists Play (based the book). Visualizations, creating your artist house, etc. [NEW] Theater Artist Play - Creating a Theater Piece (1-2 day workshop; 3 hours/day) - workshop based on Barbara's book of the same name. This workshop premiered at the 2018 Philadelphia Fringe Festival. 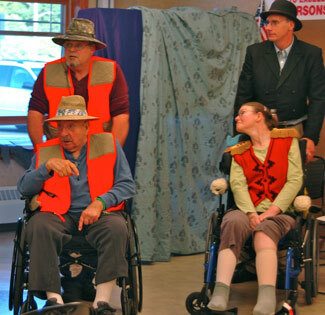 Barbara L. Gregson will share with you a few of her favorite and accessible theater techniques from her new book. 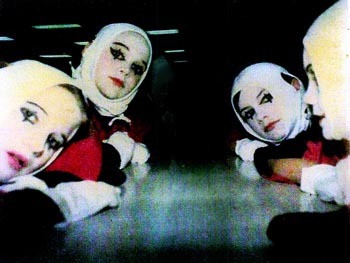 Topics can include the ancient theater traditions of mime, storytelling and mask performance. 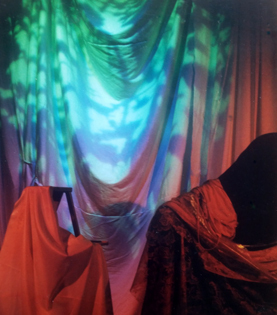 You will take away new theater methods to help create, write and play your own original theater work and have the beginnings of an original theater piece of your own creation by the end of the workshop. Where is the performance to be held? What style of production do you want to create? Don’t worry. If you know most or only some of the answers to these questions, we can work together define the style of theater, the format, venue and other details for your theater piece. 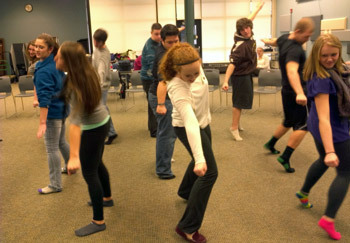 Performance: Each performance workshop includes theater warm- ups games, acting and mime techniques and improvisations . There can be an emphasis on mime comedy, clowning, slapstick, commedia dell’arte, mask performance, acting, storytelling and/or playwriting, such as writing from improvisation, monologues, dialogues, flash fiction and poetry. 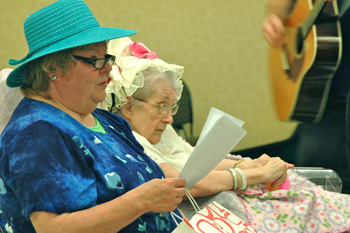 Performance workshops always culminate in final improvisational pieces created by the participants. 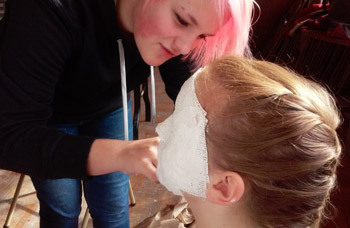 Mask Making: Make a papier maché, neutral or character mask from a plaster cast of your own face. Mask Performance: Learn the art of mask performance. 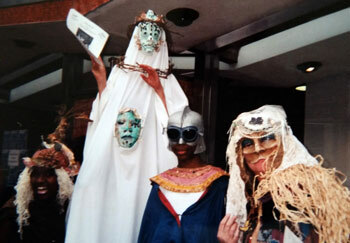 Use Gregson Theater masks to create short mime pieces, or use your own. 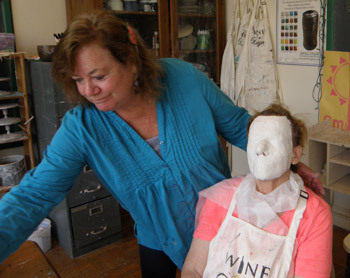 Life Casts: Make a plaster cast of your face to display and or use as a mold for leather and papier maché mask making. 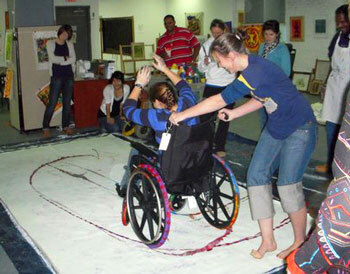 Creativity Found: These workshops are especially appropriate for Professional Development (see below), for team building and corporate retreats, for “people in transition” or for personal development. 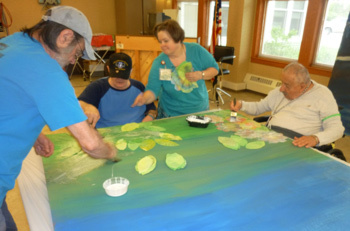 NOTE: You can view many pictures of workshops and residencies in our slideshow. For Professors and Teachers of all subjects and grades, including special education and ESL. 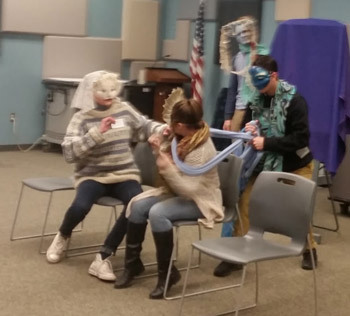 How to Create a Theater Piece, Using Theater in the Classroom and with your curriculum or any of the Gregson Theater workshops (details above) that are beneficial to you and your students. For the Private sector including for corporations, schools, medical institutions, entrepreneurs, business leaders, scientists, sales and marketing professionals, lawyers, teachers, artists, writers - anyone who needs or wants to make a presentation, a “Ted Talk”, a speech or lecture. 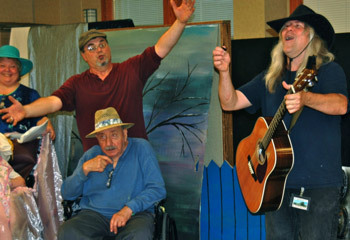 ADVANTAGES AND BENEFITS: These Gregson Theater workshops are a truly fun and creative experience. They are guaranteed to build teams, camaraderie, creativity, improve analytical thinking and problem solving workshops can include elements of acting, voice, relaxation exercises, performance preparation, storytelling, public speaking, comedy and improvisation. These are also practical exercises that will improve diction, stage presence and confidence. Arts Consultancies will help you find artists to build your arts programs or find grants and funding resources for your organization. Barbara can help you learn how to start and fund your own arts project or a Gregson Theater project or residency. Creativity Coaching gives you many exercises and methods to help you create and finish your next project, book or life change. These are especially good for people in transition. Sessions can be) in person or by phone or video chat, depending on location and individual needs. Individual Theater Arts Lessons in acting, mime, presentation, voice, public speaking, mask making or other theater arts technique to help your professional work or personal development. Make a plaster cast of your face, or your child’s to have for all time! And/or make a papier maché mask from the cast (ages 10 and up). 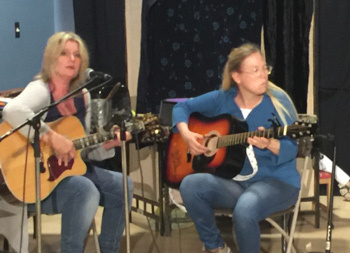 For her theater residencies, Barbara shares her unique and creative theater making process with people from diverse socioeconomic backgrounds, ages and abilities in prisons, nursing homes, community centers, hospitals, schools, colleges and more. PLEASE NOTE: All participants are involved in all aspects of the final production. 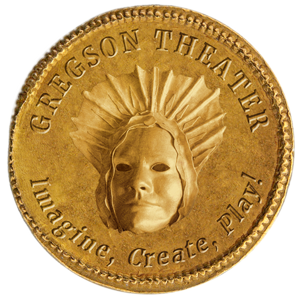 To learn how are these theater residencies are funded, go to the Funding page to find out how to bring Gregson Theater to your school or organization today. Also for a vast array and variety of past residencies and locations see the Gregson Theater press kit, including a resumé. PLEASE NOTE: For any scheduled residency, the organization can receive free copies of Barbara’s book, Theater Artists Play. 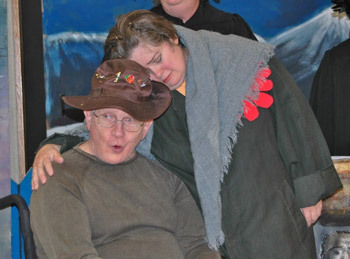 See examples of previous productions and themes below. “Theater Artists Play” (book) - a guide to creating and making your own theater work. 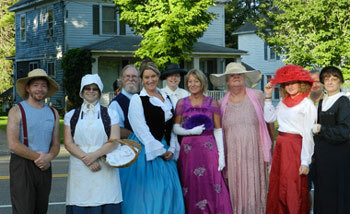 Barbara gives book signings at bookstores, libraries, arts councils, etc. She also gives book presentations and workshops specifically tailored to the book. Go to and Book page for more info. All book workshops and presentations include a book signing at the end of the event. My Disclaimer: I am not a therapist, but am a theater artist. I like to work with people who maybe in various stages of recovery, in transition or who are institutionalized. I don’t need to know why they are there or what they did to be there. I see everyone through the lens of a fellow artist and that is how we connect. I give my students access to the creative form (in my case it is theater) and show them how to express themselves in this art form.